I love this time of year with all of the fresh fruit and vegetables. Makes me wonder how we survive the winter. Enjoy the fresh produce while its here. I do stock up on fresh fruits and freeze them so we can have them in the colder months. Lately, I’ve been buying fresh peaches, they are heavenly. 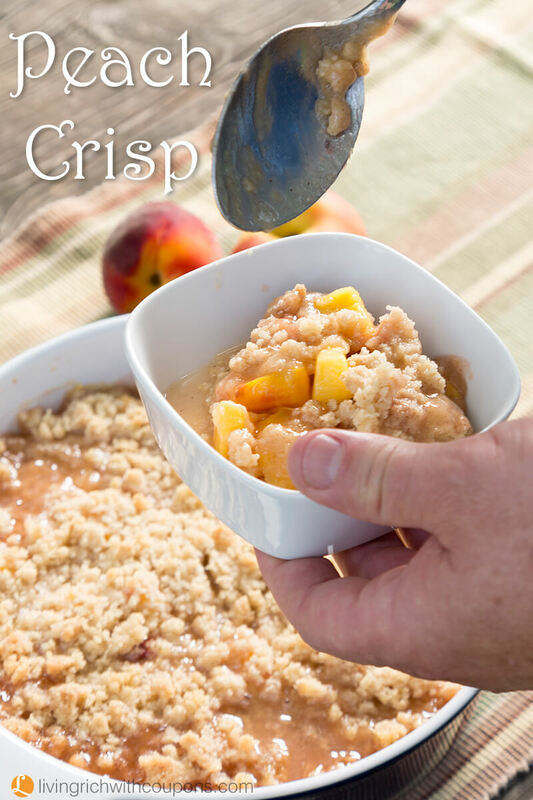 My husband made his Peach Cobbler recipe, I’ve made a Peach Pie and I’m ready to make this peach crisp recipe. I need to buy some more peaches so I can freeze some, I haven’t done that yet! 1. Preheat oven to 375°. Place prepared peaches in ungreased 9×9 baking dish. Stir in 3 tablespoons sugar. 2. In bowl combine brown sugar, oats and flour. Add butter, mix until combined. Stir in chopped nuts (if using) and sprinkle mixture over peaches. 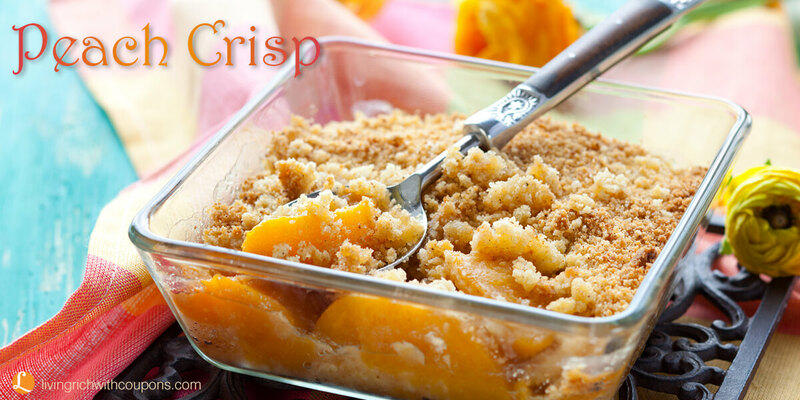 Bake 40 – 50 minutes until fruit is tender and topping is golden brown. Dollar Tree Shoppers – $0.66 Gerber Puffs Snacks!